Orange County Brazilian Jiu Jitsu Private Lessons! Lowest Rates! Fun! RocknRoll Brazilian Jiu Jitsu Private Lessons & Personal Training in Orange County, California! Lowest rates in OC! 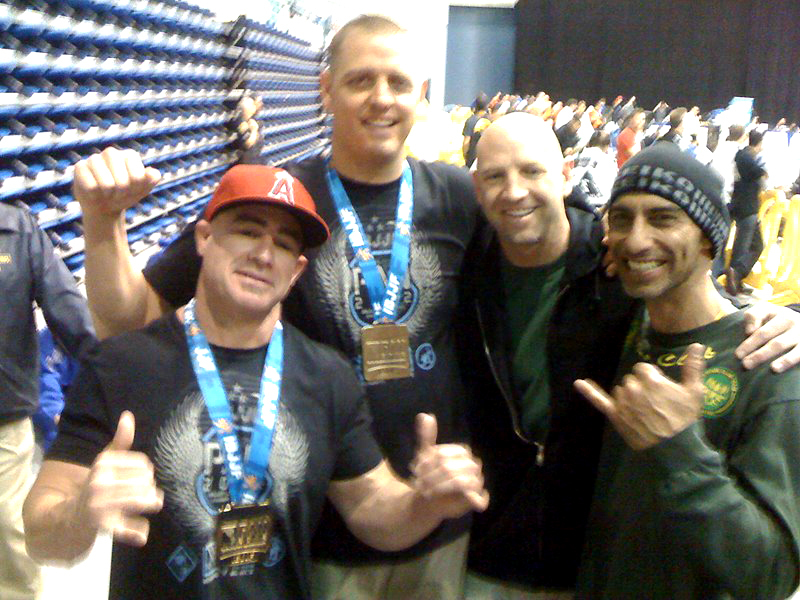 RocknRoll BJJ & Fitness is dedicated to changing lives through Brazilian Jiu Jitsu and fitness! Get one on one attention by an experienced Brazilian Jiu JItsu instructor and National Academy of Sports Medicine certified personal trainer and take your jiu jitsu to the next level and, or, reach your fitness goals fast! Lowest rates for BJJ Private Lessons and personal training in Orange County! RocknRoll Brazilian Jiu Jitsu programs and teachings adapt to your pace and ability making learning fun and safe! Whether its your first day trying jiu jitsu or you are a seasoned jiu jitsu player, I have a great program for you. RocknRoll Fitness Programs for all ages, body types and fitness levels! You will have a customized fitness program for your body type and fitness goals. Don’t be shy. If you have let your self go and its been a while since you have been active, you have come to the right place. I am a patient and detailed trainer. If you are already fit, but are looking for strength training, plyometrics or just something more challenging, I have got some fun for you! * Receive detailed, patient, instruction from an experienced & certified Brazilian Jiu Jitsu instructor and personal trainer! * Learn amazing new Brazilian jiu jitsu techniques as taught to me by the pros! * Choose what time is best for your busy schedule! RocknRoll Brazilian Jiu Jitsu & Fitness is run by Rich Zaydel a brown belt in brazilian jiu jitsu under Professor Marcelo Carvalho and is a National Academy of Sports Medicine certified personal trainer. Rich has taught at the prestigious Chapman University Jiu Jitsu Club and is an assistant instructor at Global Jiu Jitsu under Professor Marcelo Carvalho. Contact Rich now to schedule your lessons or personal training! Email me through this ad or visit the RocknRoll Brazilian Jiu Jitsu website. Oh, and please ‘LIke’ the RocknRoll BJJ page! Be sure to check out some great techniques for free at the RocknRoll BJJ Youtube Channel! You can follow RocknRoll BJJ on twitter too! Guess What? Contrary to what the Gracie family would have you believe, they didn’t invent Brazilian Jiu Jitsu! And, if you take the time to research it, the Gracie’s were snobs and stingy with sharing jiu jitsu. History shows that they only taught to the rich or upper class. Some things never change. Luis Franca was taught jiu jitsu by non other than Mitsuyo Maeda. Mitsuyo Maeda was an expert judoka with direct lineage to the founder of judo, Kanō Jigorō. Maeda, settled in Belem in 1917 and taught a small group of students, including Luis Franca and Carlos Gracie. 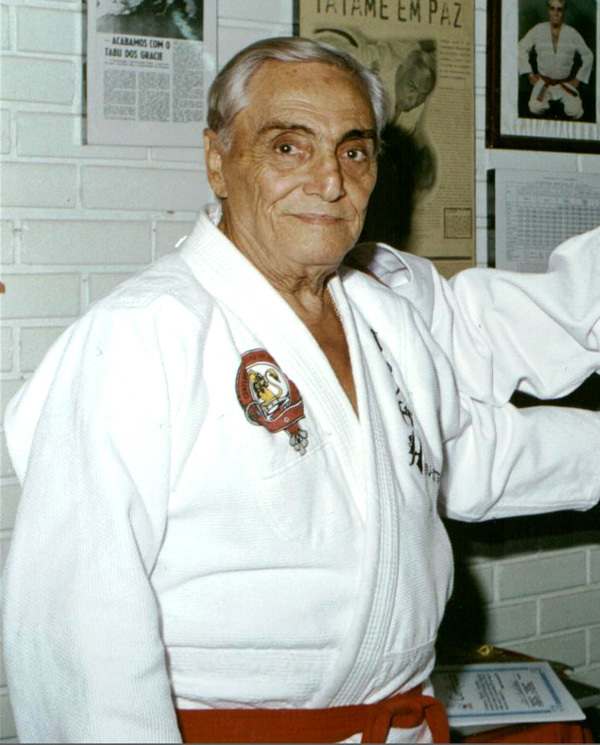 Oswaldo Fadda received his black belt under Luis Franca. Fadda taught jiu jitsu to the poor in Rio because, as usual, the Gracie tuition as too high. He taught in unorthodox locations free of charge to share the gentle art of jiu jitsu with the less privileged. The Gracies, in typical snobbish fashion, considered him an outcast. Oswaldo Fadda Jiu Jitsu legend! Fadda finally opened a school in 1950. He then challenged the Helio Gracie school with some of his students. 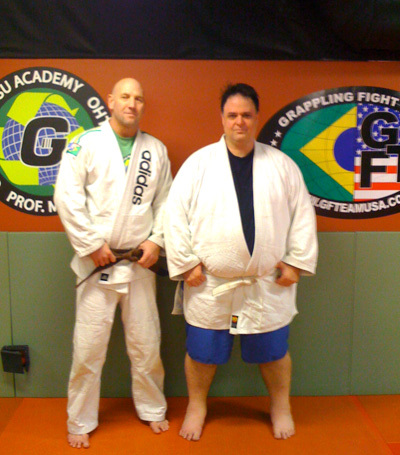 The Gracies excepted the challenge and invited Fadda and his students to the Gracie Academy. Fadda’s students tapped out the Gracies and even put one of them to sleep. Much of Fadda’s students used foot locks to tap the Gracies who in sore loser spirit called the foot locks a ‘suburban technique.’ However, later Helio would say that it only takes on Fadda to prove that jiu jitsu is for everyone. 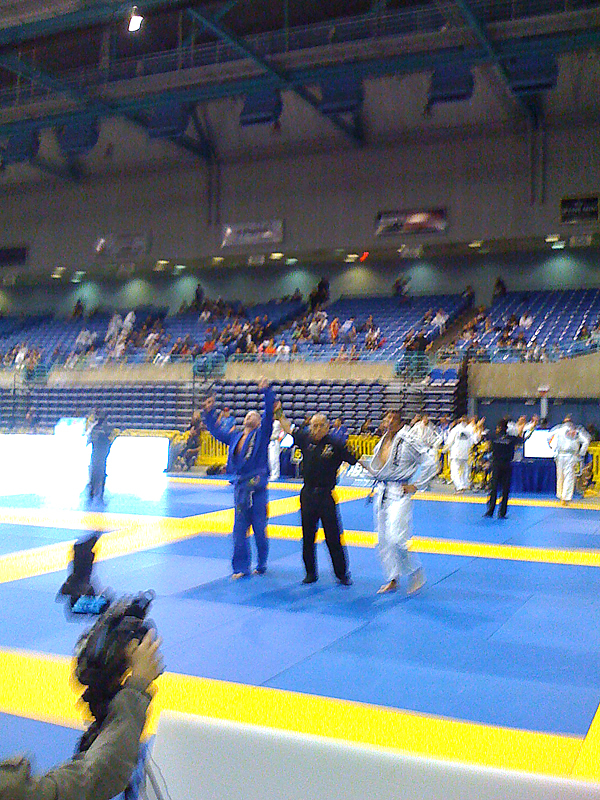 Fadda is the only one known to have beaten Helio in a tournament. Master Julio Cesar Pereira, leader of the Ground Fight Team has direct lineage to Oswaldo Fadda. Rodolfo Vieira is Master Pereira’s student. I always like to cheer for the underdog, don’t you? Please take the time to read more about Oswaldo Fadda and learn more about how the Gracies didn’t invent brazilian jiu jitsu. I like to keep things as simple as possible. As I have said in many of my posts, I am nothing special, just an average guy who loves jiu jitsu. I love it so much that even though I am not as athletic as many of my training partners, I will put in the extra work to try to keep up. Through trial and error over the years, I have found moves that work well for me and I found better ways to break down the move so its understandable to the average Joe like myself. I hope they make your life easier and jiu jitsu more fun for you! Here is a very jiu ijtsu 101 move, the kimura. I also added an option of a sweep when your opponent defends the position by grabbing his belt. If you would like to see something specific, please let me know through facebook at Rich Zaydel. If you like it (or even don’t like it ) please subscribe to my blog and youtube channel. These are some of my favorite techniques and set ups. I am an average guy, and think these would be fun and easy to learn if you are just starting out. Come train with me if you are in the Southern California area! I have the best rates for Brazilian Jiu Jitsu and Personal Training in Orange Coutny! And, yes, I have a facebook page finally! Please come by and like the RocknRoll Brazilian Jiu Jitsu page! Want a fun way to lose weight? Want to get results fast? Then try a Brazilian Jiu Jitsu based training session at RocknRoll BJJ & Fitness in Orange County California! The program will include a bit of jiu jitsu based drills, exercises and warm ups, mixed with yoga and pilates. The routine is easily adaptable to all ages, body types and athletic ability. Its a great way to stay in shape and hone foundations of brazilian jiujitsu. Plus, its a great way to lose weight at a fast, yet healthy rate! Rich and John after training. John has lost almost 50 pounds! A friend, student and client, John, has lost quite a bit of weight. He is down 50 pounds in about six months. So if you are in the Orange County area, give a call and lets train! You will have lots of fun! RocknRoll Brazilian Jiu Jitsu and Personal Training! Some friends and I have been rolling together for a long time! After good training sessions, we are blown away at how much fun brazilian jiu jitsu still is, and, how we want to do this for as long as we live! Helio Gracie did it into his nineties so its definitely possible. But, it isn’t going to be possible without some preventative maintenance. A good warm up is very important. The warm ups at Global Jiu Jitsu Academy and RocknRoll BJJ & Fitness for example, include a sit up/core routine, snake moves and animal drills. Sometimes we do a basic stretch before class, but, usually have a very good one after class. This prevents soreness and feeling tight when you wake up the next day! Always drink plenty of water before training, during training and after training. If your instructor will allow it, the goal is to try to hydrate every 20 minutes during heavy training. I like gatorade during training. I stay hydrated and the sugar keeps my energy levels up. Other trainers laugh at me and say that stuff is all sugar (and they are right) and all I need is water, but it works for me. Now, there are some things what you will more than likely have to do outside of class. One of those is lifting weights. I don’t mean lifting super heavy so you end up looking like Conan the Barbarian, but just moderate weights. The goal you are shooting for is three sets of 15-20 repetitions of each exercise. This will strengthen your ligaments which will help prevent injury and it give you muscle endurance as well. Also, if you do the higher repetitions, you won’t bulk up. More muscles means it will take more blood to fuel them so you will gas out quicker. Take a look at Brock Lesnar, for example. Also, very important, is to work out your legs and hips. If you stay around the sport long enough, you will see many training partners have some sort of knee issues. Having experienced this myself, I now work out my legs as much as any other part of my body. I recommend ball squats, lateral movement with bands, leg presses, and anything along the lines of elliptical machines, tread mills, and bicycles. And, back to stretching, if you have loose and flexible hips, that will take a lot of pressure off your knees in some positions. Lastly, use common sense. Listen to your body! If it is sore, or you are exhausted, take the day off of training, or, however long your body tells you. Unless you are receiving a six plus figure salary for doing jiu jitsu, your body will thank you! And, after all, your goal is to do this the rest of you life.